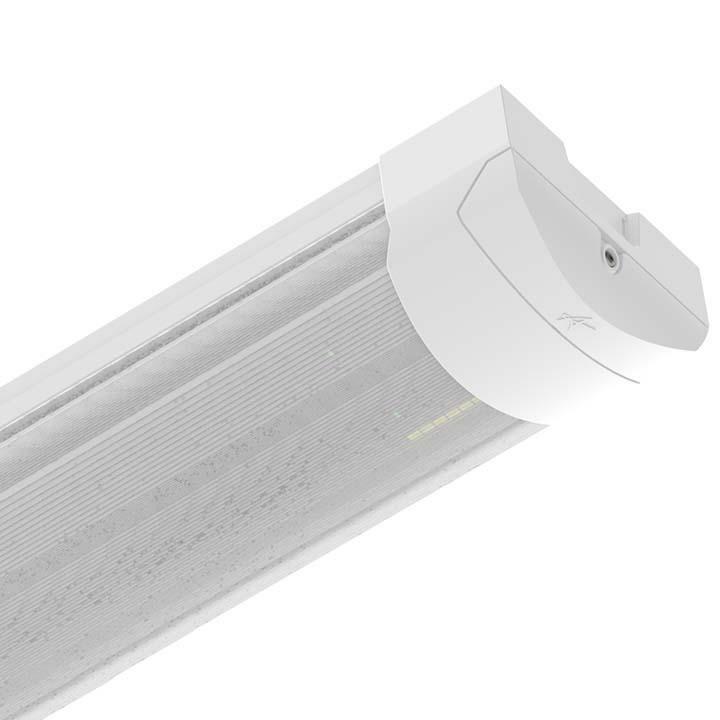 Modern contemporary fully enclosed high-performance surface luminaire. Continuous through-wiring installations. Up to 56% energy savings compared to T8 fluorescent. Steel powder coated body with reeded opal polycarbonate diffuser and retained end caps. Low glare and uniform light distribution. Ideal for most commercial and educational applications. Corridor function for dimmable microwave sensor option. 40,000 hours average lifetime. Supplied c/w Integral Driver.